Have you check out the new Garden Blooms collection? 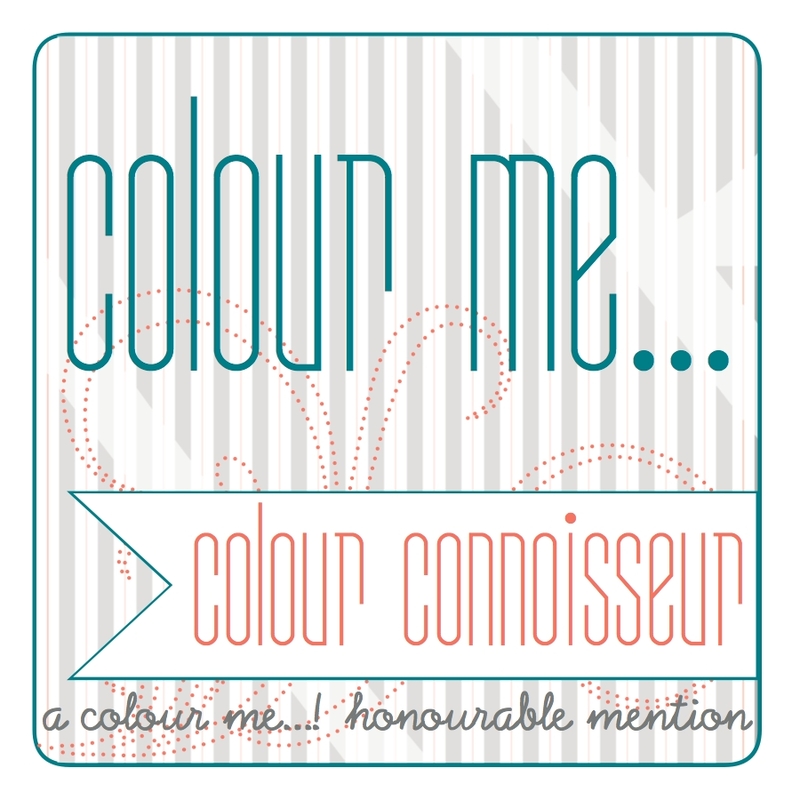 If not, please head over to Purple Onion Designs blog and website now to take a look a the adorable set! The entire collection is now available for USD90.00 till 30 May, don't wait too long if you are thinking of getting the stamps! 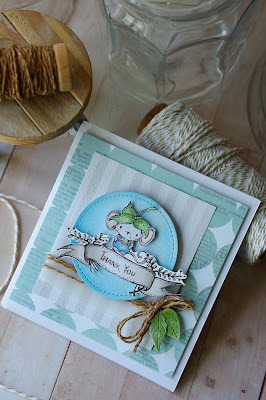 As promised in the last post to share more of my cards using stamps from the new collection, here is a Thank You card I made using Elliot, from the new Garden Blooms collection, together with the banner from the sweet offerings set from my existing collection of stamps from Purple Onion Designs. Elliot is such an adorable image and I really find it easy to adapt to any other stamps that I have. Using the Stamp-a-ma-jig from EK Tools, I positioned and stamped the image the Elliot right on top of the banner and used my Copic markers to colour the whole image. Then I fussy cut the whole image. 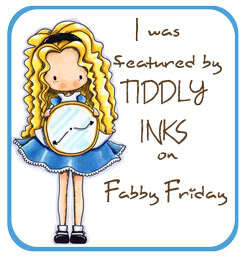 I die cut the stitched circle and blended in some distress colour, Tumbled Glass, to give it a a gradient of light blue. As the card hasn't got much of stamped images, I decided to add a some other details to give it a more interesting look. 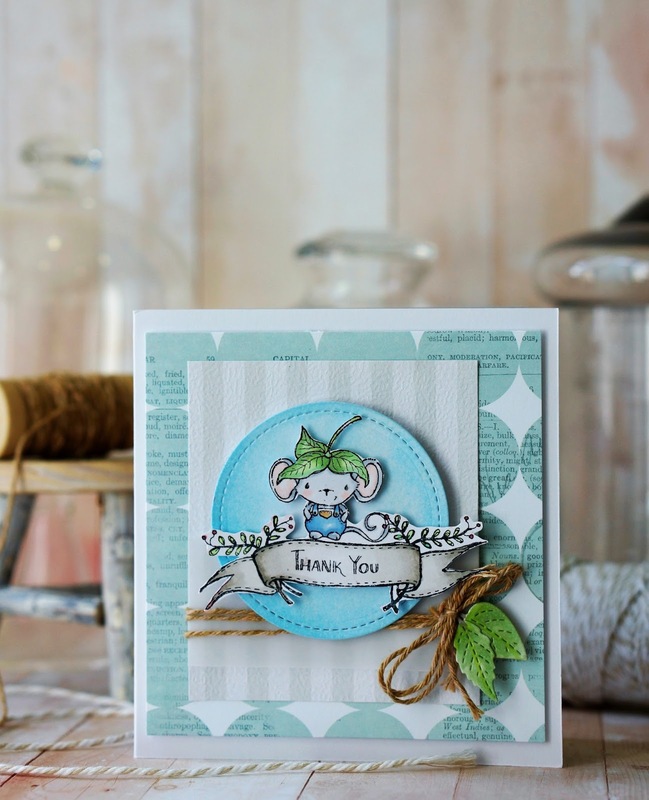 The die cut little stitched leaves are from a leaves die cut set from Lawn Fawn. I coloured them with my Copic markers and attached them to the some twine to be attached to the card. That's all for today, I hope you like this Thank You card that I've shared with you today. Have a great weekend and keep on stampin'!